A review by a US Federal Aviation Administration panel into Boeing Co's grounded 737 MAX aircraft found a planned software update and training revisions to be "operationally suitable," the agency said Tuesday, an important milestone in getting the planes back in the air. More than 300 Boeing 737 MAX jets have been grounded worldwide after nearly 350 people died in two crashes, one in Indonesia in October and another in Ethiopia last month. 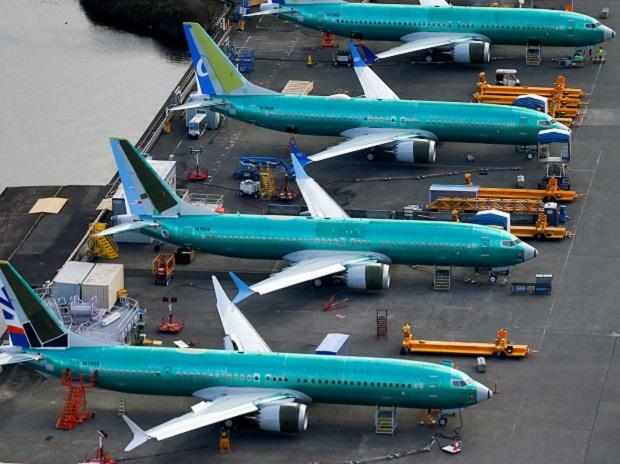 Boeing has announced a planned software update on the 737 MAX to prevent erroneous data from triggering an anti-stall system known as MCAS that is under scrutiny following the two disastrous nose-down crashes. The draft report from the Flight Standardization Board (FSB) appointed by the FAA, which includes pilots, engineers and other experts, said additional training was needed for MCAS, but not required to be done in a simulator. The board said ground training "must address system description, functionality, associated failure conditions, and flight crew alerting." The public has until April 30 to make comments. The panel evaluated the software update to MCAS for "training and checking differences determination," the report said. "The MCAS system was found to be operationally suitable." Boeing shares closed up 1.7 per cent after the news. Boeing is under pressure to upgrade the software and convince global regulators that the plane is safe to fly again, a process expected to take at least 90 days. Despite the stock rebound, investors were advised on Tuesday by the proxy firms Institutional Shareholder Services and Glass Lewis to press the company to vote for a shareholder proposal to split the role of chairman and chief executive. ISS said uncertainty about the long-term impact on Boeing related to safety problems with the 737 MAX was serious enough to merit having an independent board chair. "Shareholders would benefit from the most robust form of independent oversight to ensure that the company's management is able to regain the confidence of regulators, customers and other key stakeholders, ISS said in a report ahead of Boeing's annual shareholders meeting April 29. Glass Lewis also recommended investors vote to remove from the board the head of Boeing's audit committee, Lawrence Kellner. Kellner is the former chair and chief executive of Continental Airlines. Glass Lewis said the two crashes "indicate a potential lapse in the board's oversight of risk management. We believe the audit committee should have taken a more proactive role in identifying the risks associated with the 737 Max 8 aircraft." Boeing said in a statement it "has a strong, actively engaged board, which brings a high level of expertise, dedication and commitment to its oversight function, including with respect to the safety of the 737 MAX and our other airplane programs." The FAA still must approve the software package and training once Boeing formally submits them to the agency, an FAA spokesman said.